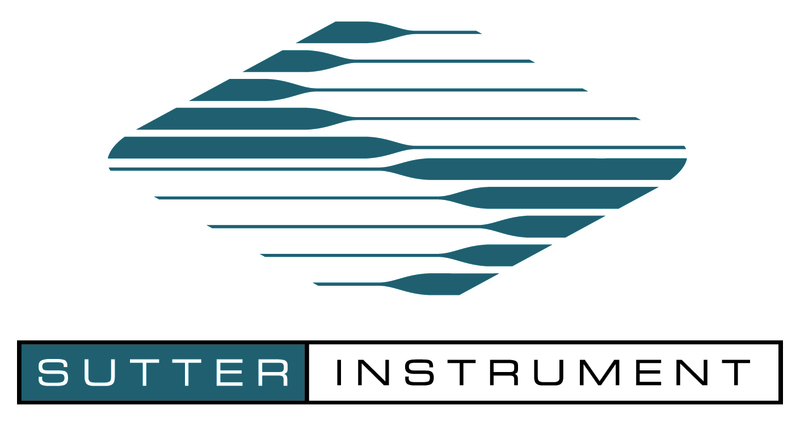 Sutter Instrument has developed a very strong reputation as a manufacturer of quality and innovative instrumentation at reasonable prices. Sutter’s strong customer service orientation and technical expertise has led to the development of a very loyal customer base, exhibiting significant repeat purchasing patterns. In the area of micropipette fabrication, Sutter Instrument is the undisputed world leader in both instrumentation and technical knowledge. This has positioned Sutter at the forefront of emerging technologies that utilize micron and submicron pipettes and taper fiber optic probes. The synergy between Sutter’s microprobe fabrication instruments, micropositioners and optical devices provides the company with a unique role in developing micromeasurement and nanofabrication technologies. Speak with one of our specialists today to see if a Sutter Instrument product is right for you! Developed through years of experience with the Flaming/Brown style micropipette pullers and infused with leading edge technology, Sutter is proud to introduce the Sutter Instrument P-1000 micropipette puller. The most obvious new feature is the color touchscreen display that provides an intuitive and full-featured interface. The Sutter Instrument P-2000 micropipette puller represents a significant advance in the technology of fabrication of micropipettes, optical fiber probes, and nanospray tips. The Sutter Instrument P-2000 integrates a CO2 laser-based heat source with the technology derived from our extensive experience with conventional pullers. This system offers capabilities unmatched by other pullers. The Sutter Instrument P-97 Flaming/Brown type micropipette puller is ideal for fabricating micropipettes, patch pipettes and microinjection needles. While retaining many of the features of earlier models, the Sutter Instrument P-97 offers improvements in mechanical, electronic and software design. The result is better control of the pulling process and a higher degree of reproducibility. The Sutter Instrument P-97 combines a proven mechanical system with a sophisticated, programmable microprocessor controller. This programmable control of the pulling parameters allows the investigator to design application specific pipettes from a wide range of glass compositions and sizes. The model Sutter Instrument P-30 vertical micropipette puller is designed for the fabrication of basic micropipettes and patch-type pipettes. It will pull micropipettes with tip diameters as small as 0.3um and moderate taper lengths (10 to 15mm). By using an included patching attachment, the Sutter Instrument P-30 will pull the standard double pull patch-type pipette. Used with thin wall glass capillaries, it will generate pipettes or needles suitable for microinjection studies. The Sutter Instrument P-30 is ideal for student laboratories and other situations which call for an economical, reliable pipette pulling device. Elegant and simple to use, the Sutter Instrument BV-10 offers precision beveling of micropipette tips between 0.1 and 50µm. The unique abrasive plate drive system is vibration free for greater control of the beveling process. Beveling can be accomplished very rapidly and produces consistent tip diameters using the techniques as described by Brown and Flaming, Science, August 1974, Vol. 185. Our new Sutter Instrument MP-265/M "narrow format" mechanical is designed especially for patch-slice manipulator systems that require more than 2 or 3 pipettes. Coupled with our multi-manipulator controller, Sutter Instrument MPC-200, users have the ability to easily build up multi-manipulator MPC-365 systems for positioning multiple recording and stimulating pipettes. The Sutter Instrument MP265/M mechanical builds on our existing manipulator line in several ways. First, narrow format means more manipulators can be grouped around a recording chamber. A long throw (25 mm) radial X-axis provides an easier approach to and from the optical center. Finally, travel in the Y-axis is shortened (12.5 mm) to economize on width, which is made possible because radially oriented manipulators do not require long travel in this axis. Neurobiological experiments are becoming more complex. Many require multiple manipulators with control units that quickly become space and/or cost prohibitive. The Sutter Instrument MPC-200 is the solution you have been asking for. A single controller capable of running 2 manipulators! Sutter Instrument has taken the simplicity of the MP-225 controller and expanded it to run two manipulators from a single controller/ROE. The Sutter Instrument MPC-200 works with one or two of our world-renowned mechanicals, the Sutter Instrument MP-285 (MPC-385), the Sutter Instrument MP-225 (MPC-325) or the narrow format Sutter Instrument MP-265 (MPC-365). The controller is self-detecting so there is no need for manual configuration of the components. The flagship in our line of precision micromanipulators, the motorized Sutter Instrument MP-285 is affordable yet offers advanced features found in manipulators costing thousands more. Custom engineered stepping motors, precision cross-roller bearing slides and proprietary worm gear capstan drives form the basis of the watch-like mechanical system. The Sutter Instrument MP-285 controller provides power to the stage motors with a quiet linear power supply to minimize electrical noise radiation in your setup. Pipette holders and headstages are securely mounted to the Sutter Instrument MP-285 with one of our several unique and rigid mounting systems. The Sutter Instrument MP-225 is one of the newer members in the Sutter Instrument micromanipulator line. Production and design changes have allowed us to produce a motorized manipulator that is a more affordable alternative to the industry standard Sutter Instrument MP-285. While the Sutter Instrument MP-225 feature set is less comprehensive than the Sutter Instrument MP-285, it includes the most popular features with a user interface that is simpler to use. The mechanical design utilizes a miniature stepper motor and integral anti-backlash gear head. Pre-loaded ball bearing slides provide smooth movement throughout the 25mm of travel. The controller uses low-noise, linear-drive output circuitry identical to that found in the Sutter Instrument MP-285. The methodology for mounting pipette holders and headstages used with the Sutter Instrument MP-285 has been maintained in the Sutter Instrument MP-225 to allow for cross compatibility. The classic micromanipulator developed by Sir Huxley many years ago is still considered by many investigators to be the finest manual micromanipulator available. The Sutter Instrument MP-85 offers the advantage of a very large range of movement with its built-in coarse manipulator and precise submicron movement with the fine controls. Coarse positioning is achieved with a three axis manipulator mounted on top. The ultrafine positioning is accomplished with the large micrometers mounted on the base. These micrometers provide smooth, precise movement through a 10:1 reduction mechanism. Used in complex experiments in conjunction with our other micromanipulators, or as a stand alone unit in a teaching environment, the Sutter Instrument MM-33 is available separately for those wishing a small, practical instrument in applications not requiring submicron accuracy. The Sutter Instrument MM-33 is the right choice for tight environments which require maximum versatility within a small space. The optional rotating base and tiltable X-axis provide even further flexibility. Sutter Instrument XenoWorks™, a modular system designed to meet a wide variety of microinjection application needs. Our experience with precision motor control has culminated in this state of the art system. The Sutter Instrument XenoWorks™ Micromanipulator uses a classic inverted joystick design for excellent ergonomics, intuitively linking the user with the micropipette. Combined with our smooth, responsive stepper-motor drives, the Sutter Instrument XenoWorks™ micro-manipulator replicates the feel and usability of traditional systems, without the associated inconveniences. The Sutter Instrument XenoWorks Micromanipulator has been designed around our hugely-successful Sutter Instrument MP-285 electrophysiology micromanipulator, with the addition of a smooth-moving adjustable inverted joystick. Because the motor drive is based on an electrophysiology design, the Sutter Instrument XenoWorks Micromanipulator is extremely stable and resistant to ambient vibration. This stability also makes this manipulator an ideal platform for use in conjunction with the PrimeTech PMM-150FU piezo impact drive for applications such as mouse nuclear transfer and intracytoplasmic sperm injection. Designed primarily for transgenic mammal workstations, the Sutter Instrument XenoWorks Digital Microinjector is capable of holding oocytes and early embryos immobile while simultaneously providing a separate pressure channel for pronuclear microinjection of DNA or the gentle control of embryonic stem cells as they are transferred into blastocysts. Sutter Instrument XenoWorks™ Analog Microinjector has been designed with ease of troubleshooting in mind. While ﬂuid-ﬁlled hydraulic microinjectors are the most responsive method of manipulating cells and cellular components, over time they can develop leaks and air bubbles which need to be sealed or purged.